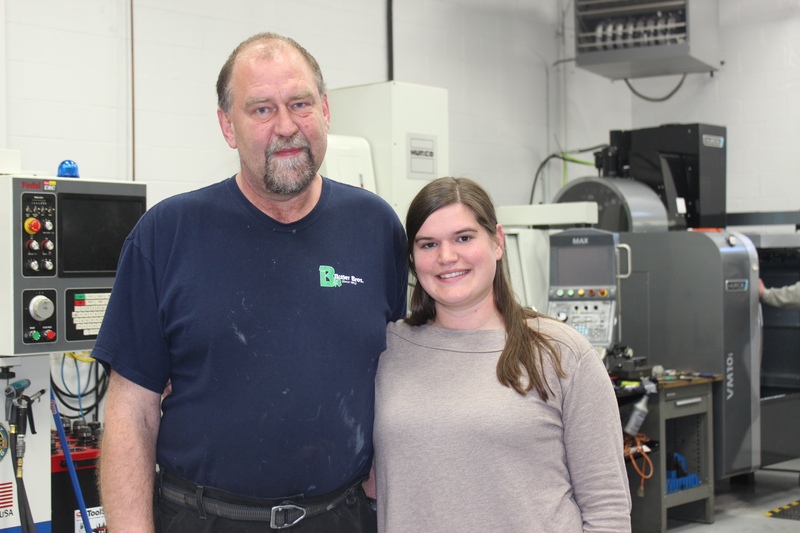 Father daughter duo Peter and Alana Samuelson recently put the final coat of paint on their new 6,500 sf precision machine shop located on Caldwell Drive in Amherst. With the help of Enterprise Bank and CRDC, the Samuelson's were able to purchase the industrial condominium space. Although the space is a little more than they currently need, they have plans to further expand with new equipment. "We were leasing space next door, and we simply outgrew it," said Peter. "We went from 1,200 sf to our current floor plan of 4,400 sf. We now have more room to work efficiently and the potential to expand. The process with CRDC and Jennifer Boulanger was so easy. It was actually the best banking experience I have ever had." S&S Machine specializes in prototypes, short runs, and quick turnaround work.